BOISE, Idaho — The Live Trout Pond, part of the Idaho Sportsman Show at Expo Idaho, is back February 28-March 3. The show will take place Thursday and Friday from 5:00 PM – 9:00 PM, Saturday, 11:00 AM – 9:00 PM, and Sunday 11:00 AM – 5:00 PM. 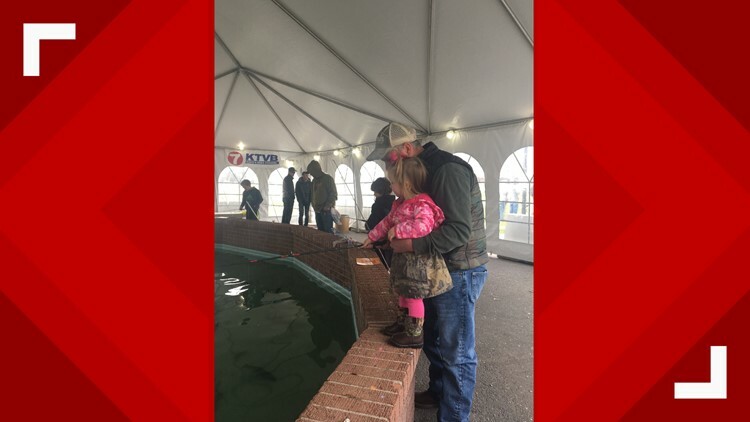 For just $1, the trout pond give kids a chance to grab a pole and try to hook a trout. All proceed will benefit the Lions Club. The Lions Club uses the proceeds to buy glasses, contribute to scholarship funds, and contribute to their eye bank so they can do cornea transplants.